When one can no longer afford their mortgage under the current loan terms, it may be possible to renegotiate with your lender; however, banks and lenders are not obligated to do so. In most cases restructuring or workouts have to serve the interests of both parties and it often takes a lot to convince a lender to do so. Our real estate workout attorneys represent lenders and borrowers in real estate workouts across South Florida. We represent a broad range of clients in real estate-related workouts, restructurings and liquidations. Our Florida business and commercial real estate clients have included developers, lenders, borrowers, retailers, distributors, manufacturers, landlords, and franchisors. At KALIS, KLEIMAN & WOLFE, we aggressively represent institutional and private lenders, taking every step necessary to bring a foreclosure action to closure promptly. We look at all options available and counsel our clients on which solution is in their best interest to recover money or to stem their losses (getting loan off the books). Our attorneys are skilled at avoiding the delays in lender foreclosures that can be damaging to the lender’s (bank’s) bottom line. The attorneys at KALIS, KLEIMAN & WOLFE advocate for homeowners in renegotiating mortgage loans through workouts with local lenders or through federally backed programs in an attempt to make the loan perform. Our focus is to resolve the immediate crisis and establish a plan to make sure future problems do not arise. We assist homeowners with attempts to get a decrease in their interest rate, get payment extensions, get principle reductions or forgiveness of arrears. When a homeowner is looking to get out from under an untenable loan, we work with lenders to try and secure a short sale or deed in lieu of foreclosure. The attorneys at KALIS, KLEIMAN & WOLFE assist many commercial borrowers (contracting companies, real estate developers, shopping center owners, office building operators, etc.) with commercial loan workouts. Our main focus is helping business owners and commercial property owners in retaining ownership of their property or business, therefore avoiding a possible default, foreclosure or auction. We do this through principle reductions, interest reductions, extended payment terms, payment suspensions or payment deferments. 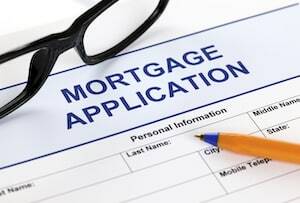 Our attorneys are experienced in both lenders and borrowers with loan workouts. We are well-versed in applicable current state and federal laws, and lending institution practices. The real estate and foreclosure attorneys at KALIS, KLEIMAN & WOLFE work hard to see that your arrangement is one that best suits your situation. Whether you’re behind on your payments or simply have a mortgage that’s substantially underwater and need assistance, contact KALIS, KLEIMAN & WOLFE today.